We, reifencom GmbH (Südfeldstr. 16, 30453 Hanover), operate a web shop on the website www.reifen.com via which you can, after registration, primarily order car tyres, rims and accessories directly, or for inspection in the framework of the so-called "branch purchase" at one of our branches or have one of our premium partners make them available to you in the framework of the so-called "premium partner reservations" for the purchase on-site at the location of the premium partner. We as well as our branches appreciate the trust you have placed in us. Therefore, we place great emphasis on the protection of your personal data. With this Data Protection Declaration, we – as the operator of this website and responsible party according to Art. 4 No. 7 of the General Data Protection Regulation (Datenschutzgrundverordnung) – would like to inform you whether and how personal data are processed. The term personal data is defined in the General Data Protection Regulation (in the following "GDPR"). According to this, "personal data" are information that are related to an identified or identifiable natural person. Part of these are for example your real name, your address, your phone number or your date of birth. Information about your usage of this website can also be considered as personal data. When subsequently talking about "processing" your personal data, this encompasses the elicitation, storage, usage, blocking and deletion of these data. IP address, date and time of the request, content of the requested page, access status/HTTP status code, data quantity, website (from which our web shop has been accessed), browser, operating system, interface (resolution), language, and browser version. The data saved by us are deleted as soon as they are no longer necessary to guarantee the stability and safety of our technical systems. With the registration and placing of orders (including "branch purchase orders" or "premium partner reservations"), the following personal data are collected from you: possibly company, form of address, first name, surname, address, area code, city, email address, telephone number, date of birth and access data (IP address, date and time of the request). These data are necessary to create your customer account, to process your order, and to be able to clearly identify you in case of requests. Furthermore we save the access data for the prevention of misuse. This purpose also is the basis for our legitimate interest of the data processing. The legal basis for the data processing is Art. 6 par. 1 lit. b GDPR or Art. 6 par. lit. f GDPR. The data necessary for the business processing are saved and processed by us as well as possibly transmitted to affiliated companies in the framework of the order processing, to payment service providers for the handling of payments (credit card, direct debiting, Sofortüberweisung, financing, repayment pause and purchase on invoice), to parcel services or further third parties, as far as this is necessary for the order processing. Payment service providers will possibly process your data for their own purposes next to the pure processing of the payment, especially for misuse and fraud prevention. For further information, please read the data protection declaration of the payment service provider chosen by you. For the majority of the payment methods (in particular credit card, direct debiting and Sofortüberweisung), we use the payment services of Wirecard Bank AG to process or forward the transactions. For more information on data processing by Wirecard Bank AG, please see www.wirecardbank.de/dsgvo. In case of orders in the framework of the "branch purchase", we possibly transmit your personal data to a branch of us if the goods shall be delivered to one of the branches of reifencom GmbH according to your order, in order to enable to delivery of the goods to the branch. The branch only processes your personal data in order to keep the goods ordered read for you for personal inspection in the branch chosen by you. The legal basis for the data processing in the above named cases is Art. 6 par. 1 lit. b GDPR. The processing of your data is necessary to carry out the contract completed with you. We generally only save your data as long as it is necessary for the conduction of the contract completed with you, and until the expiration of the statutory warranty periods and the legal storage periods. In the framework of "premium partner reservations", we process your data on behalf of the respective premium partner. In this context, we transmit your personal data to the respective premium partner in order to announce your reservation to the respective premium partner, to possibly deliver goods to the site of the premium partner or to enable the premium partner to keep the reserved goods ready for purchase on his site or to keep the services ready for their performance. The processing of your personal data through a premium partner is always made in the framework of the applicably privacy laws and individually according to the data protection regulations of the respective premium partner. For further information about these data protection regulations of our premium partners and the storage period of your data at their place, please directly ask the respective premium partner. We further use the data elicited in the framework of "premium partner reservations" for the (commercial) communication with you on behalf of the premium partner, as well as in the framework of the applicable privacy laws or upon your separate explicit consent. The legal basis for the data processing is Art. 6 par. 1 lit. a GDPR in case of your consent or Art 6 par. 1 lit. b GDPR if the data processing is necessary to carry out your order at our premium partners. To carry out the previously named orders, we directly (in case of "branch purpose" on behalf of the branch mentioned above or in case of "premium partner reservations" on behalf of the respective premium partner) commission other companies and/or individual parties with the fulfilment of the tasks. Examples of these are for example parcel delivery, sending of letters or emails, as well as fitting partners. These service providers have access to your personal data as they need to them fulfil their tasks. However, they may not use them for other purposes. Furthermore they are obliged to treat these data according to this Data Protection Declaration as well as the applicable privacy laws. The legal basis for this data transfer is Art. 6 par. 1 lit. b GDPR if the data processing is necessary to carry out the contract with you, or Art. 6 par. 1 lit. f GDPR if we have a legitimate interest in the data transfer and your interests worth protecting do not predominate. This is especially the case when forwarding of your email address to a parcel service, so that he can name the exact delivery date. We assume that this is also of your interest. Further the delivery service is subject to special data protection obligations to protect the postal secrecy, so that there is no indication of predominant protection-worthy interests that could prevent the forwarding of the email address. Voucher offers of Sovendus GmbH: For the selection of a currently interesting voucher offer, the hash value of your email address and its IP address are transmitted to Sovendus GmbH, Moltkestr. 11, 76133 Karlsruhe (Sovendus) by us pseudonymised and encrypted (Art. 6 par. 1 f GDPR). The pseudonymised hash value of the email address of is used under consideration of a possibly present objection to advertisement by Sovendus (Art. 21 par. 3, Art. 6 par. 1 c GDPR). The IP address is exclusively used for the purpose of data security by Sovendus and usually anonymised after seven days (Art. 6 par. 1 f GDPR). Further we transfer pseudonymised order number, order value with currency, session ID, voucher code and time stamp to Sovendus for accounting purposes (Art. 6 par. 1 f GDPR). If you are interested in a voucher offer by Sovendus, if there is no objection to advertisement for your email address, and if you only click onto the voucher banner shown in this case, form of address, name and your email address are transmitted to Sovendus in an encrypted way to prepare the voucher (Art. 6 par. 1 b, f GDPR). Prize competition: From time to time we carry out surveys or competitions via our site or also offline per flyer. In these cases we only elicit the data from you that are necessary to carry out the survey or the competition. Should you be able to give further information, the mandatory information for the participation is marked accordingly. Further information is given voluntarily or only upon your explicit consent. In case of surveys, we will usually anonymise your personal data so that it is not possibly to trace back who you are, unless we have your explicit consent to person-related processing or your data. In case of a competition, it may be necessary for the distribution of profit to forward your data to third parties involved in the competition, e.g. parcel service provider, executing tour operators or hotels. The legal basis for the data processing is Art. 6 par. 1 lit. b GDPR in case of a competition and Art. 6 par. 1 lit. a GDPR in case of your voluntary participation in a survey. We only process your data to carry out the competition and/or survey. After conduction of the competition, distribution of profit and possibly expiry of legal warranty obligations, we will delete your data. In case of a survey, your data are usually anonymised. You always have the possibility to revoke your consent for data processing or to enter an objection again the data processing. If the data are necessary to fulfil a contract or to carry out precontractual measures, a premature deletion of the data is only possible if no contractual or legal obligations prevent a deletion. To determine the payment methods that can be offered to you, we transfer your first name and surname, as well as your address to the credit bureau Creditreform Boniversum GmbH, Hellersbergstr. 11, 41460 Neuss for the purpose of an identity check. With the similarity computation in percent, it can be determined whether person and address are known to the credit bureau. This is done according to legal requirements, as long as it is necessary to safeguard our legitimate interests and there is no reason to assume that your interests or fundamental rights and fundamental freedom that require the protection of personal data predominate. The elicitation, storage and transmission is thus made for the purpose of an identity check to ensure that we deliver our services only to the correct contracting partner on the basis of Art. 6 par. 1 S. 1 lit. f DS-GVO. 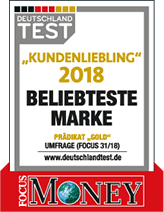 If you have chosen a specific payment method, the following checks will also be made: To check your creditworthiness, we transmit your first name and surname, your address and your date of birth to Creditreform Boniversum GmbH, Hellersbergstr. 11, 41460 Neuss. The processing is thus made for the purpose of the credit assessment to prevent a payment default and on the basis of Art. 6 par. 1 S. 1 lit. b GDPR and Art. 6 par. 1 S. 1 lit. f GDPR. A statistical probability for a credit default and therefore your solvency are calculated on the basis of this information. It is our legitimate interest to safeguard ourselves before entering businesses that come along with an economic risk with the given payment methods. Due to our internal credit guidelines, we reserve the right to exclude these payment methods after completion of the examination. As far as negative data that allow reliable conclusions to be drawn regarding an insolvency or a customer’s unwillingness to pay arise in the framework of the business relationship, we reserve the right to transmit these data together with name and address to the credit bureaus and service providers for accounts receivable management under consideration of the data protection laws. The legal basis is Art. 6 par. lit. b and f GDPR. The credit bureaus make these data available to further companies for the credit assessment as far as these can prove to have a legitimate interest in knowing this information. We use the services of the IT security service provider Risk.Ident GmbH for our homepage. All communication between us and Risk.Ident is exclusively made for the prevention of fraud cases during the usage of our websites. Data storage: With the help of cookies and tracking technologies, Risk.Ident elicits and processes specific user data about the equipment of the terminal device used by the user (“device-specific data”), raw data from the TCP/IP connection and data about the usage of our website. That way also the IP address of the user is elicited and processed by Risk.Ident; however this is encrypted by Risk.Ident within a few seconds. The information is stored in a databank at Risk.Ident’s for fraud prevention. (e) how likely it is that the terminal device filed at the Risk.Ident databank is the actual device of the user. The result of the risk assessment supports us in preventing fraud cases. Data transfer: Further we transfer data to Risk.Ident as far as it becomes known to us that a user has or has tried to fraudulent represent to obtain a contract. This fact as well as the respective device-specific data of the user are transmitted to Risk.Ident for this. The legal basis for the processing is Art. 6 par. 1 lit. f GDPR. Our legitimate interest in the data processing is fraud prevention. What are cookies and will I be personally identified through them? Cookies are alphanumeric tags within small files which are transmitted to the hard drive of your computer via your web browser. However, you can generally visit our website without telling us who are you. Through the cookies used on our website (see points 3.2. to 3.3) only usage data are collected, like the website from which you visit us and the websites that you visit from our page. These pieces of information are analysed for statistical purposes. You as a single user stay anonymous at all times. For how long are cookies stored on my computer? The dwell time of the individual cookie on your computer is – if your web browser generally accepts cookies – determined by the purpose of the cookie. Some cookies are already deleted when you close your web browser (so-called session cookies), because they only contain information that was necessary for the visit of our website (like "remembering" what is in your shopping cart or the history of sales items you looked at on our website). Other cookies are stored on your system for a longer period of time (1 month up to ten years), because a longer-term user profile should be created, which should help us and our advertising partners to offer interesting advertisements to you as a customer on other websites as well. Can I prevent data collection and storage through cookies? Yes, you can. We explain how you can do this under points 3.2. and 3.3 below. For the functionality of our website we set cookies that make it possible for our systems to recognize your browser and to offer special services to you. The approval of the cookies is mandatory for the comprehensive workability of the functions of this website! The documentation or help function of your web browser explains you how you can prevent your web browser to accept cookies or how you can get a message from your web browser when cookies are being sent from one website, so that you can then accept or reject the individual cookies. These setting options are mostly found in the menu "Privacy" in the respective web browser. We generally recommend you to completely log off after using a computer in case you share the computer with others and the browser is set to automatically accept cookies. (so-called "third parties") for online marketing purposes. These third parties also collect data about your user behaviour by setting cookies (see point 3.1. above), but also do not link these usage data to personal data. In order for you to also get interesting advertisements on other websites, the so-called re-targeting is thereby also used. Thereby data about your user behaviour on our website is stored on your computer through a cookie. If you then visit a website of our advertising partner, advertisements that match your stored user behaviour are shown. We also have a legitimate interest in these usage purposes. The legal basis of the data processing is Art. 6 par. 1 lit. f GDPR. An allocation of the usage behaviour on our website to individual natural persons is neither possible to us nor to third parties. You can also opt out of the collection and analysis of these user data through cookies from third parties by changing the settings of your web browser. Most of the current browsers hereby allow you to differentiate between first-party cookies (see point 3.2.) and third party cookies. If you want to find out more about the data protection or the storage period of cookies at our partners, please read their data protection regulations. We use the performance advertising network of AWIN AG, Eichhornstraße 3, 10785 Berlin. In the framework of its tracking services, AWIN saves cookies on the terminal devices of users who visit or use the websites or other online offers of its customers (e.g. registration for a newsletter or placing an order at an online shop) for the documentation of transactions (e.g. of leads and sales). These cookies have the sole purpose of the correct allocation of the success of advertising media and the corresponding invoicing in the framework of its network. Personal data are not collected, processed or used by AWIN this way. Only the information about when a specific advertising media has been clicked on with a terminal device is placed in a cookie. An individual digit sequence that is not allocatable to the individual user is deposited in the AWNI tracking cookies to document the partner program of an advertiser, the publisher, the time of the action of the user (click or view). Hereby AWIN also collects information about the terminal device from which the transaction is carried out, e.g. the operating system and the requested browser. The legal basis of this data processing is Art. 6 para. 1 lit f GDPR. We have a legitimate interest in finding out the amount of the remuneration and the correct invoicing within the advertising network. Further we have integrated components of the company Affilinet. Affilinet is a German affiliate network which offers affiliate marketing. This is an internet-based distribution type that enables commercial operators of websites, the so-called merchants or advertisers, to show advertisement that is mainly paid via click or sale provisions on the websites of third parties, i.e. distribution partners that are also called affiliates or publisher. The merchant provides advertising material, that is an advertising banner or other suitable means of internet advertisement, via the affiliate network, which is subsequently integrated on the own website of an affiliate or advertised via other channels such as keyword advertising or email marketing. The operating company of Affilinet is affilinet GmbH, Sapporobogen 6-8, 80637 Munich, Germany. Affilinet also sets a cookie on your system. Only the identification number of the affiliate, i.e. the one of the mediating partner of the potential customer, as well as the order number of the visitor of a website and the clicked advertising material are saved. The indicators cannot be assigned to a natural person by any of the partners involved. The purpose of the storage of these data is the handling of provision payments between the merchant and the affiliate which are processed via the affiliate network, i.e. the Affilinet. The storage of “affilinet-Cookies” is made on the basis of Art. 6 lit. f GDPR. We have a legitimate interest in the data processing as the amount of the affiliate remuneration can only be determined by setting the cookie. We use tracking technologies, namely the service Google Analytics as well as technologies of etracker GmbH, for the purpose of a customer-oriented design and an optimization of our website. In the following you find descriptions of the functionality of these services as well as links to the respective opportunities to opt out. This website uses Google Analytics, a web analysis service of Google Inc, (1600 Amphitheatre Parkway Mountain View, CA 94043, USA; "Google"). The usage includes the operating mode "Universal Analytics". With this, it is possible to assign data, sessions and interactions via several devices to a pseudonym user ID, and to analyse the activities of a user across multiple devices. You can prevent the storage of cookies through corresponding settings of your browser software; however, we point out to you that you possibly cannot use all functions of this website entirely in this case. You can further prevent the elicitation of the data generated by the Cookies and linked to the usage of the website (incl. your IP address) to Google as well as the processing of these data through Google by downloading and installing the Browser-Add-on. Opt out cookies prevent the future recording of your data when visiting this website. In order to prevent the recording through Universal Analytics throughout several devices, you need to carry out the opt out on all systems used. By clicking here, the opt out cookie is set: Deactivate Google Analytics. Please note that Google Analytics has been extended with the code "anonymizeIp" in order to guarantee an anonymised recording of IP addresses (so-called IP masking). The provider of this website uses services of etracker GmbH from Hamburg, Germany (www.etracker.com/en) for the analysis of user data. Thereby cookies are used that enable a statistical analysis of the usage of this website through your visits as well as the display of use-related content or advertisement. Cookies are small text files which are stored on the terminal equipment of the user by the internet browser. etracker Cookies do not include information that enable the identification of a user. The data generated with etracker are processed and saved on behalf of the operator of this website by etracker in Germany exclusively and thereby underlie the strict German and European data protection laws and standards. etracker has been independently checked, certified and priced with the data protection seal of quality ePrivacyseal concerning this matter. The data processing is made on the legal basis of Art. 6 par..1 lit f (legitimate interest) of the EU General Data Protection Regulation (EU-GDPR). Our legitimate interest lies in the optimization of our online offer and our web presence. As our visitor’s privacy is especially important to us, the IP address is anonymised at etracker as soon as possible, and login and device identification at etracker are converted to a clear key that is not assigned to a person. A different use, merge with other data or forwarding to third parties by etracker does not take place. You can object to the data processing described above any time as far as this is done personalized. Your objection does not have any negative consequences for you. You can find further information about the data protection at etracker here. These plug-ins usually elicit data from you by default and transmit them to the server of the respective provider. To guarantee the protection of your privacy, we have taken technical measures to guarantee that your data are not recorded by the provider of the respective plug-ins without your consent. When calling up a page where plug-ins are integrated, these are deactivated first of all. Only when clicking on the respective symbol, the plug-ins are activated and you thereby give your consent that your data are transmitted to the respective provider. The legal basis for the usage of the plug-ins is Art. 6 par. 1 lit. a and lit. f GDPR. We have integrated videos from the provider "YouTube" (YouTube LLC with principal place of business in 901 Cherry Avenue, San Bruno, CA 94066, USA) on our website. Thereby we use the so-called "Extended data protection mode". This means that no cookies are stored on your computer and that no data are transferred to YouTube as long as you do not play the integrated videos. Should you play the integrated videos, YouTube will save a cookie on your computer and there may be a data transfer to YouTube. Should you be logged-in to YouTube, these data can be linked to your YouTube profile. You can find further information about the kind and usage of the data collected by YouTube here: http://www.youtube.com/t/privacy_at_youtube. The legal basis for the usage of the plug-in is Art. 6 par. 1 lit. a and lit. f GDPR. Should you have agreed to receive our email newsletters, we process your email address as well as optionally your first name, your surname, your gender and your postal code. Further we save the data of your consent. We process these data only for the purpose of sending the email newsletter to you, as well as in case of optional information to adjust the newsletter individually for you. You can withdrawal your consent to the receipt of the newsletter as well as your consent to the processing of your personal data for the transmission of the newspaper any time with effect on the future. via email to: datenschutz@reifen.com or by clicking the Unsubscribe link in the newsletter. The legal basis for the processing of your data is Art. 6 par. 1 lit a GDPR. We save your data as long as it is necessary for the dispatch of the newsletters. In case of an unsubscribtion, we will delete your data or block your email address in order to make sure that you do not receive further newsletters from us. According to the respective statutory requirements, you further have the right of correction (Art. 16 GDPR), the right of limitation of the processing (Art. 18 GDPR), the right of deletion (Art. 17 GDPR), the right of objection Art. 21 GDPR) and the right of data portability (Art. 20 GDPR). Upon receipt of your message, we will check your rights and give feedback to you as soon as possible. In case of an objection to advertisement, we will block and delete the personal data stored about you immediately and no longer use these data for marketing purposes. Irrespective of these rights and the possibility to asset other administrative or juridical remedy, you have the possibility to assert your right of complaint at a supervisory authority, especially in a member state of your address, your work place or the place of the supposed infringement any time if you assume that the processing of the personal data concerning you infringe data protection regulations (Art. 77 GDPR). In order to protect safety of your information during the transmission, we use Secure Socket Layer Software (SSL). This software encodes the information transmitted by you. When confirming your order we do not unveil your credit card number. In the course of the order process, we naturally transfer the entire credit card number to the credit card company in charge. We maintain physical, electronic and procedural safeguards in connection with the collection, storage and disclosure of the personal information of our customers. These security measures include that we occasionally ask you to provide proof of your identity before we disclose personal information to you. It is important for you to protect yourself against unauthorized access to your password and to your computer. In case you share the computer with others, you should make sure to log out after each session. Should you have further questions about data protection at reifencom GmbH, feel free to contact us at datenschutz@reifen.com, and we will try to dispel your concerns. Our company is constantly changing. Our Data Protection Declaration changes likewise. We reserve the right to send you messages about our directives in force at certain periods of time. Nonetheless you should visit our website regularly and take note of changes. Unless otherwise regulated, the usage of all information that we have about you and your customer accounts is governed by this Data Protection Declaration.